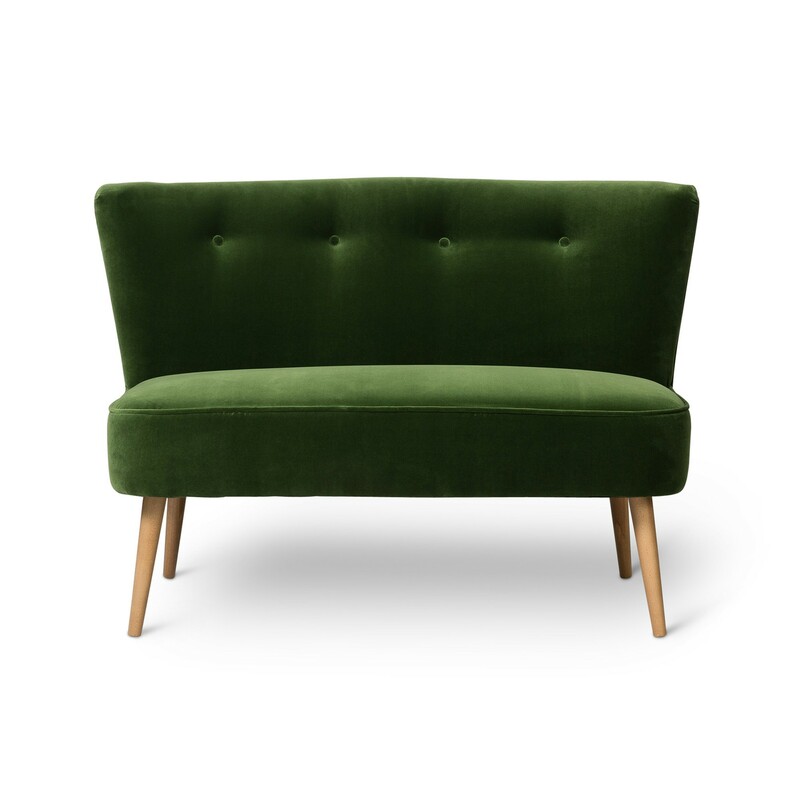 Differing from what is ordinary makes the Oliver Bonas furniture range all the more special. 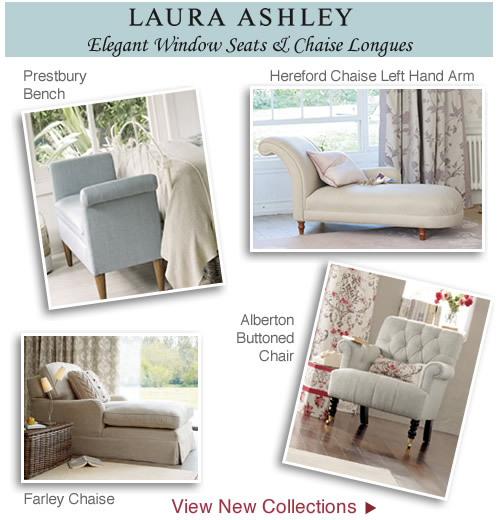 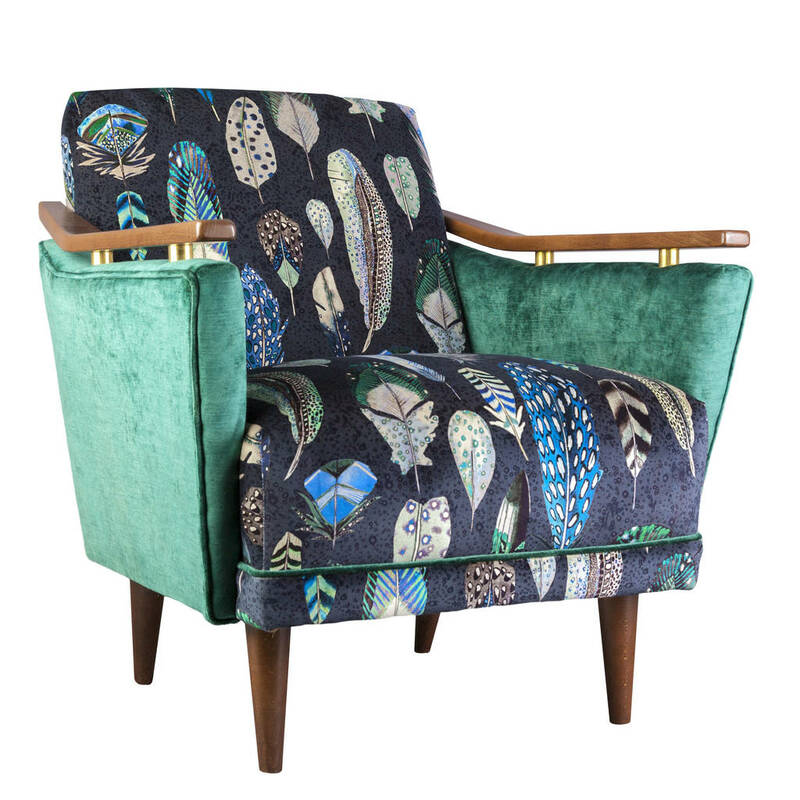 Exclusively designed pieces are beautifully upholstered and handmade in England using hardwood frames made to last. 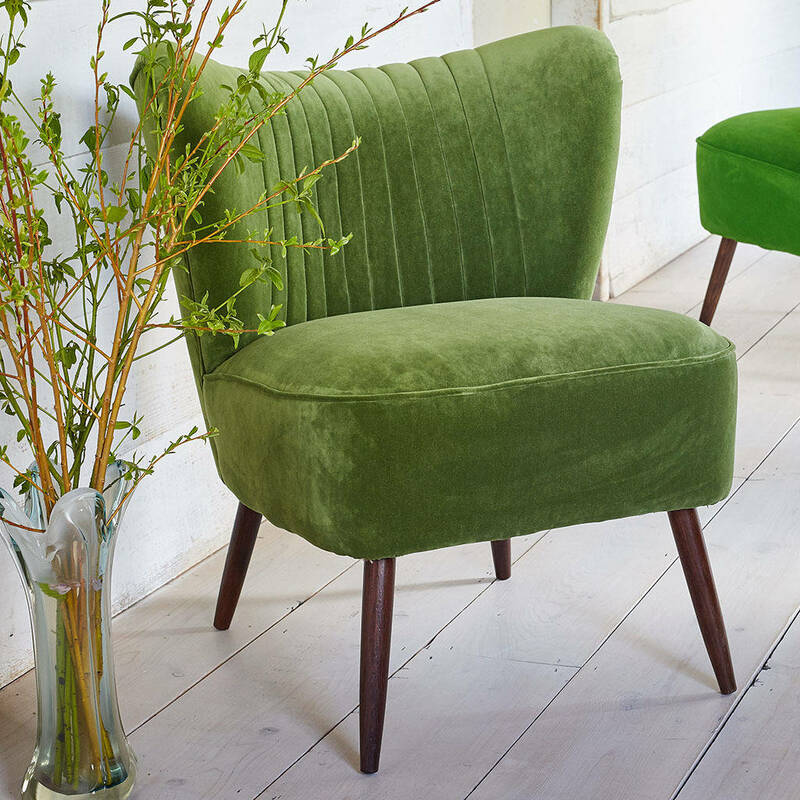 The covetable range includes French inspired designs such as the Le Cocktail chair and the art deco curved Coco chair featuring simple clean lines that reflect the vintage period perfectly. 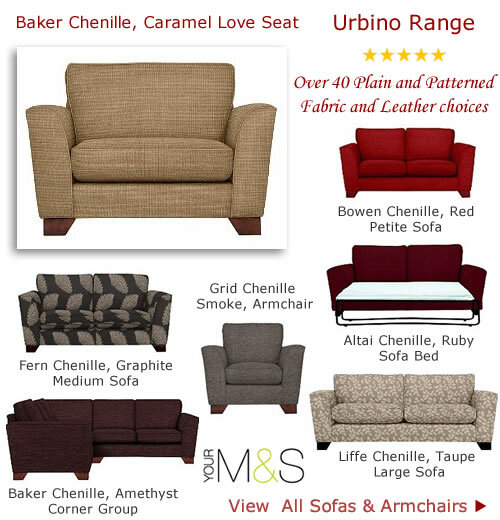 Discover compact seating for any room in the house and roomy button back loveseats, 2 seater armchairs, small sofas and footstools for the living room to instantly transform your home. 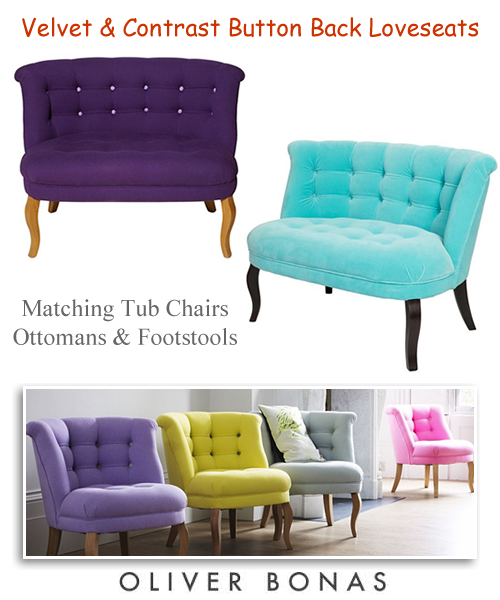 Opt for a smart and opulent look with a gorgeous velvet tub chair and love tub seat available in an array of bright cheery colours and sophisticated neutrals. 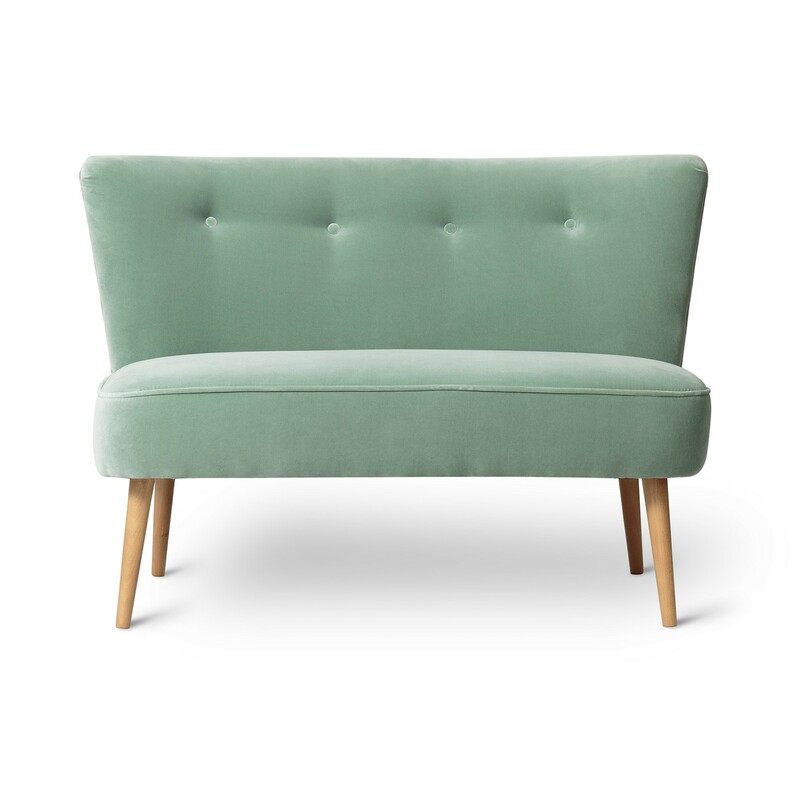 Choose your favourite shade to add a focal point to your living space or blend in with existing decor from aqua, blossom pink, purple, grey, beige, emerald green, orange, black, fuchsia, marine, ocean blue, primrose and vermillion red. 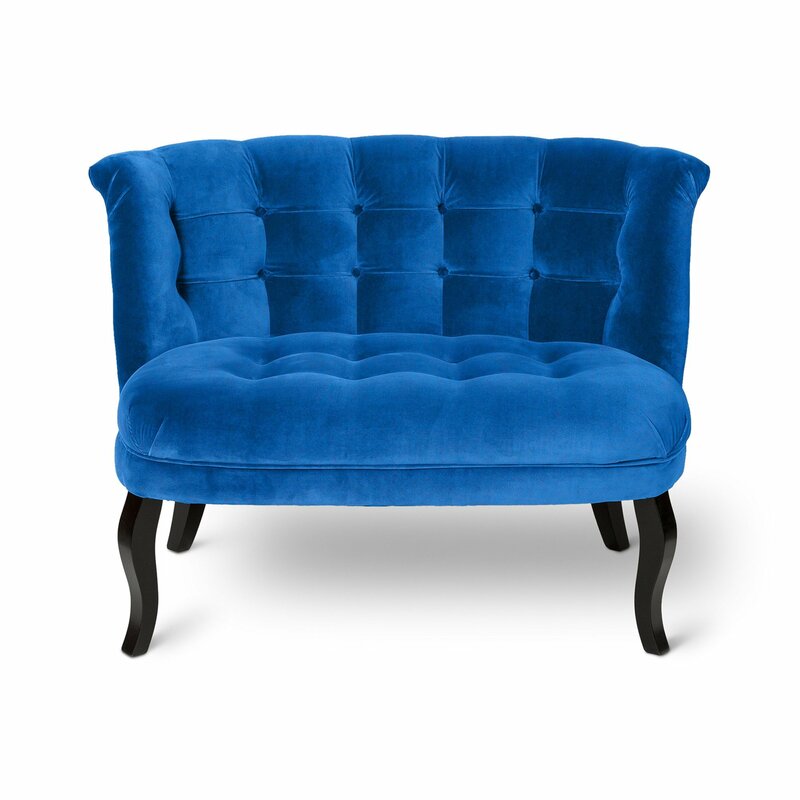 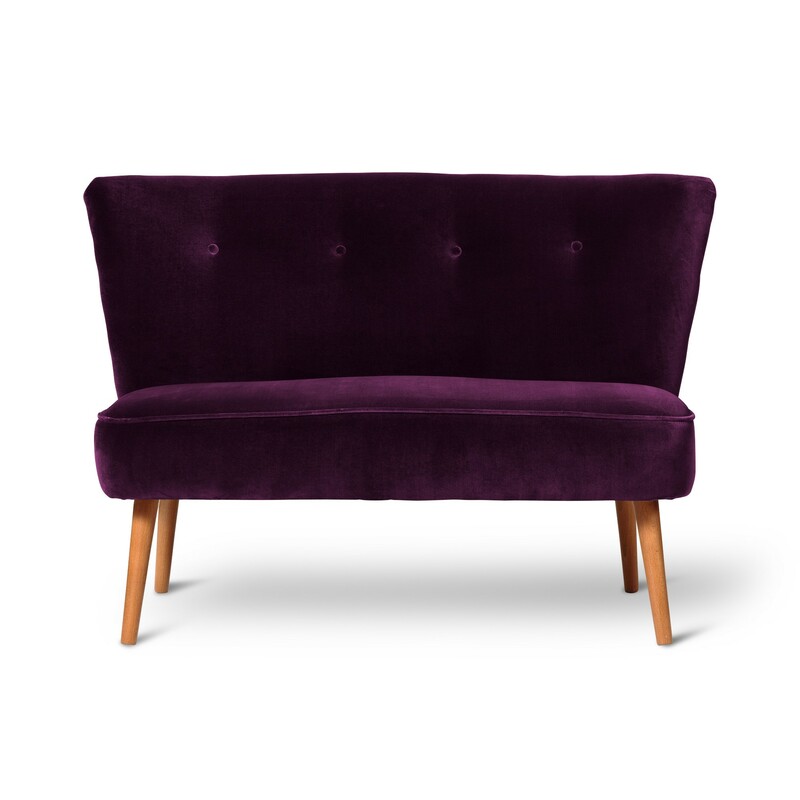 Upholstered in lustrous Varese cotton velvet fabric from Designers Guild and expertly made for a superior finish. 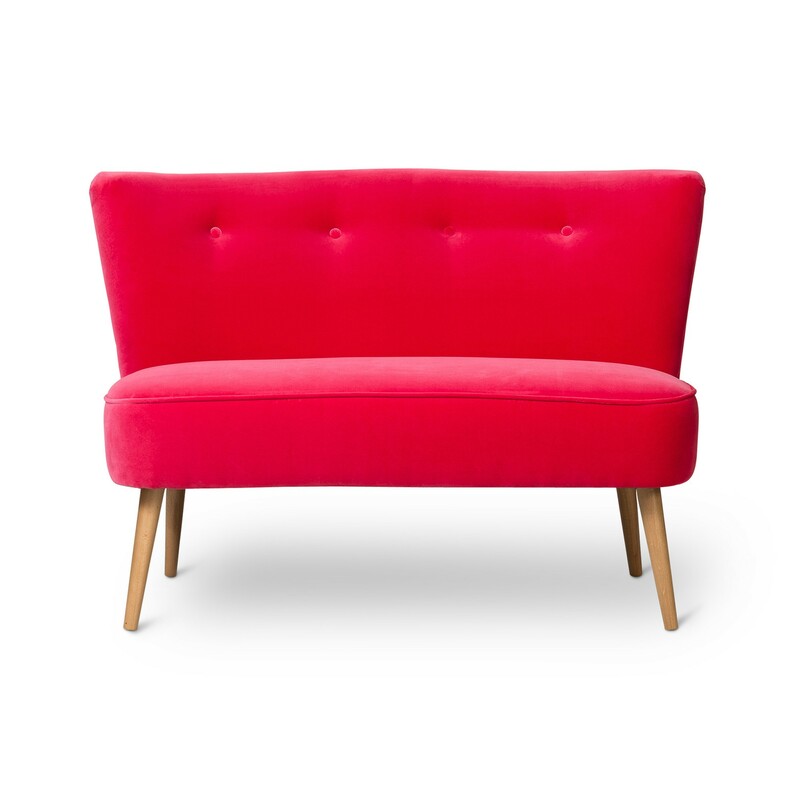 The frame and legs are crafted from Beech and the dimensions are H73.5 x W90 xD70. 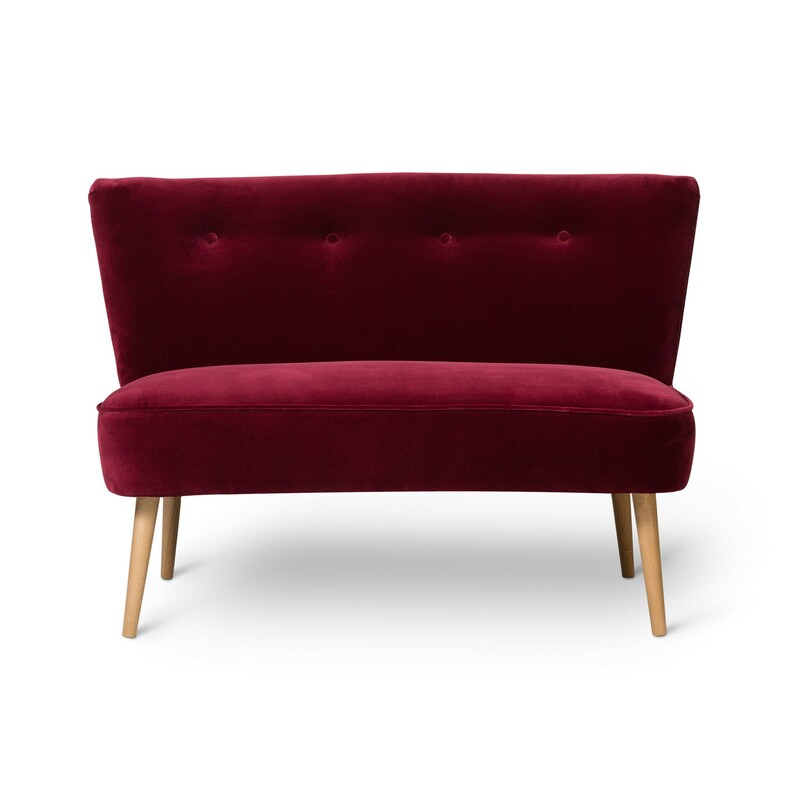 Also in the range are matching velvet button stools and ottomans which not only work as storage solutions but also makes a handy spare seat when needed. 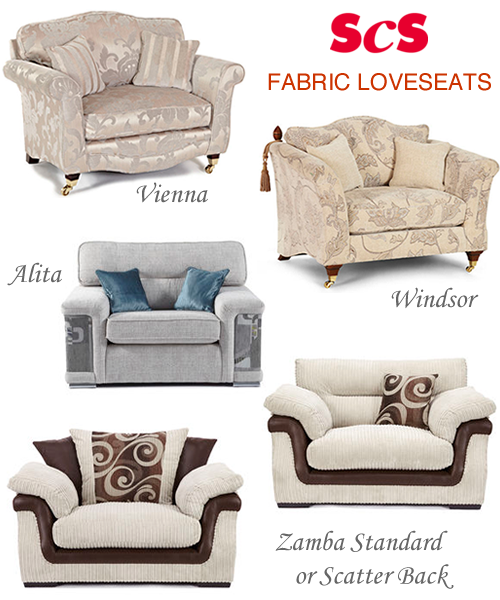 These cosy loveseats are ideal for snuggling up with a loved one or for one person to enjoy lounging back in comfort with extra room. 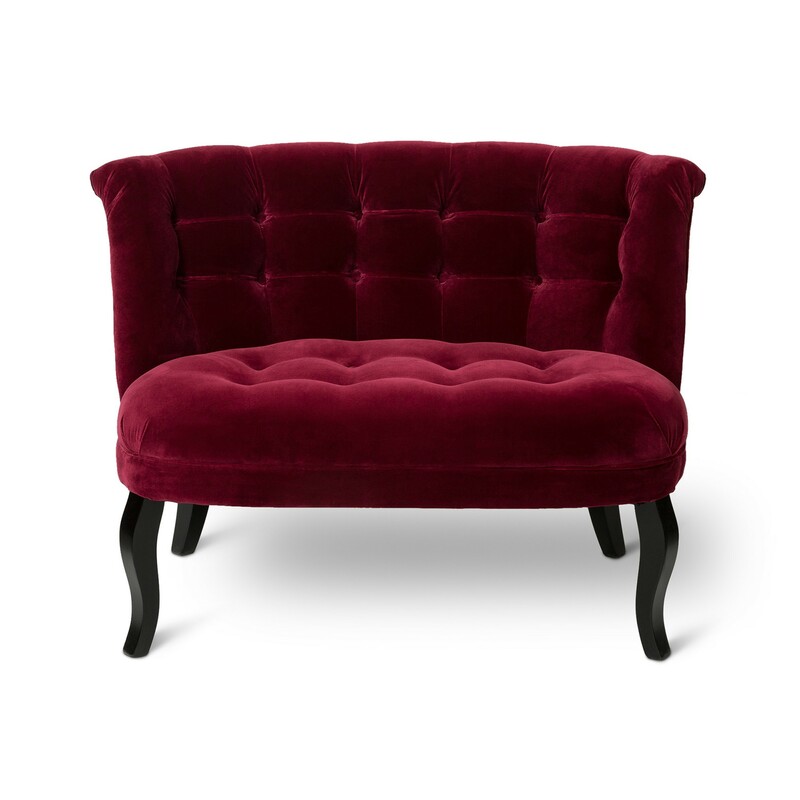 The contrast button back cotton love tub is a statement piece with a distinctive appearance for modern interiors. 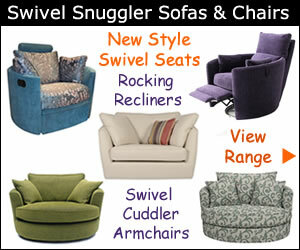 A fabulous choice of colours include cobalt, heather, teal, damson, lemongrass and duckegg. 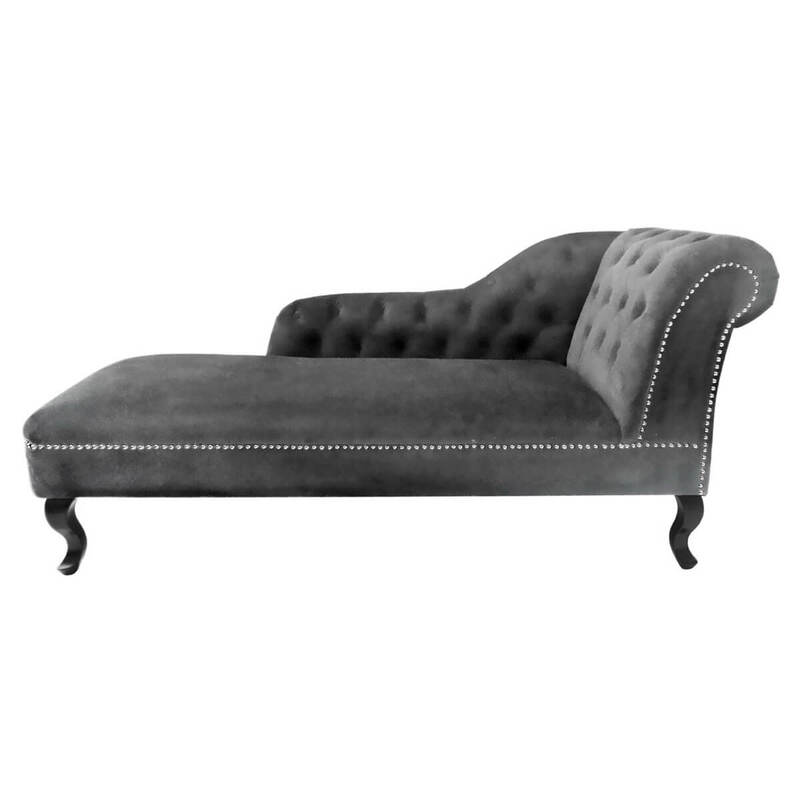 The contrasting buttons, luxurious texture of the fabric and natural oak legs add to its appeal. 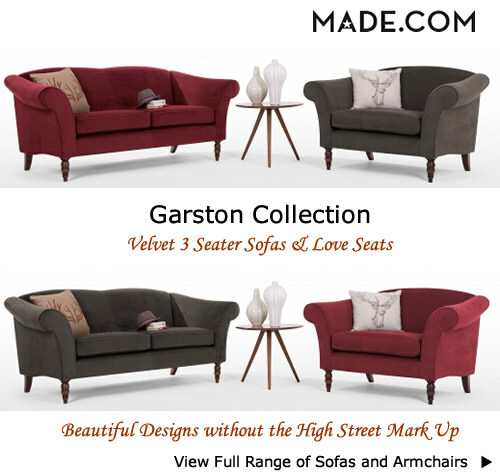 For gorgeous home inspiration and the comfiest loveseats browse the latest collection from Made.com. 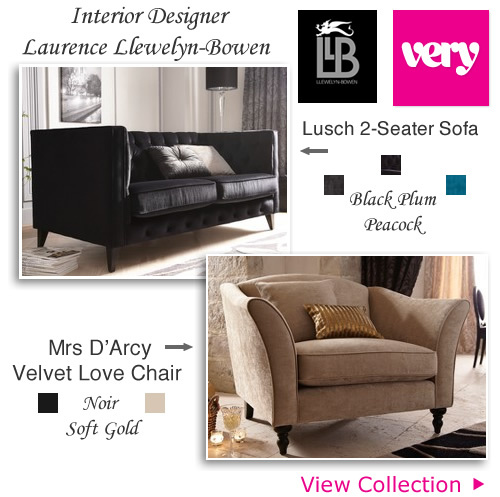 From swivel chairs to compact two seater sofas and accent armchairs with plenty of style and colours to blend perfectly with existing pieces there’s something for every aspect. 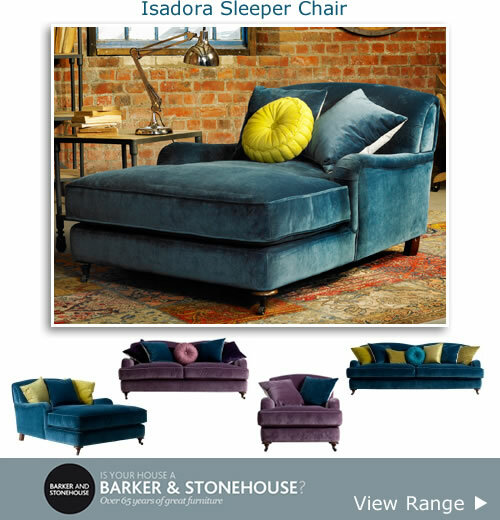 Bring a modern edge to your living space with beautifully designed sofas and loveseats featuring curved arms and back, button detailing and deep seated cushions. 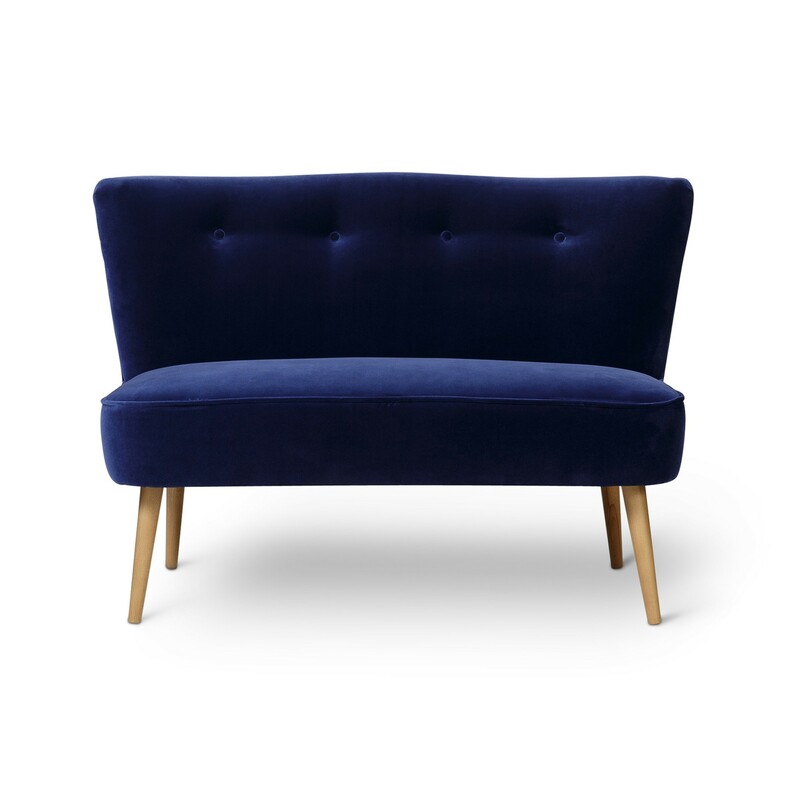 For a fun and roomy chair the Leon swivel love seat is a must for cosying up with a loved one and is also a fashionably wide chair for one person. Available in green, red, blue and mink. Create the perfect setting around your home, whether it’s extra seating for the bedroom, a seat for beneath a bay window or an accent armchair for the corner of the living room. 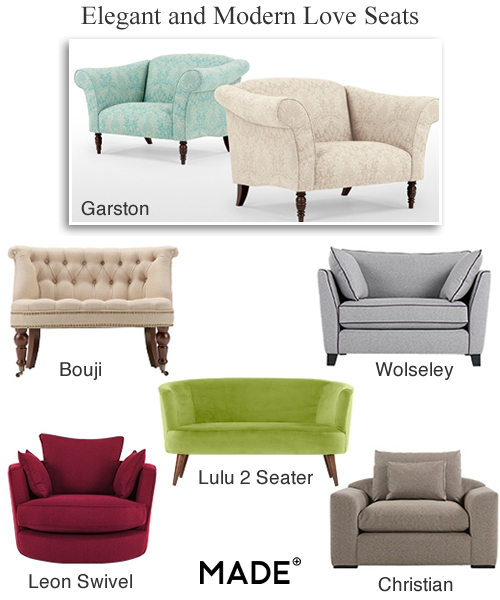 Small sofas and love seats are space saving solutions that take up less room than the traditional size 3 seat sofas. 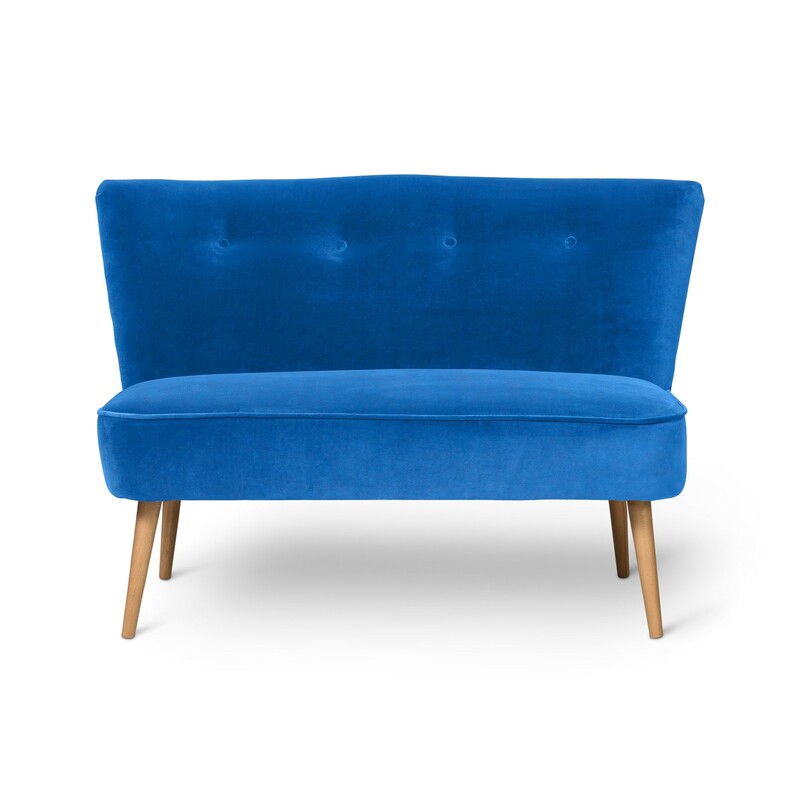 For a focal point a pop of colour can be fun and highlight a particular part of the room or an inviting seat in the hallway. 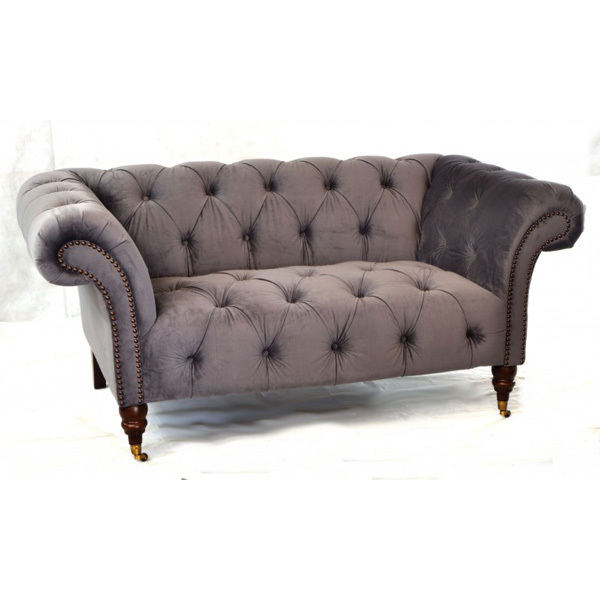 The Wolseley range offers classic styles of 2 and 3 seater sofas, corner groups and chairs along with super comfy loveseats in mushroom brown corduroy and sophisticated wolf grey wool mix. 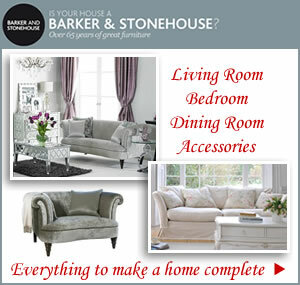 Brighten up an area with a bold splash of colour or play safe with a neutral palette of beige, taupe and grey. 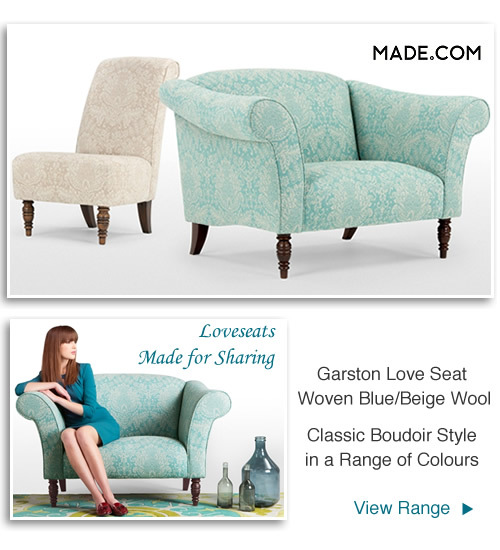 The Garston loveseat in a soft blue floral pattern in woven wool adds a truly luxurious touch. 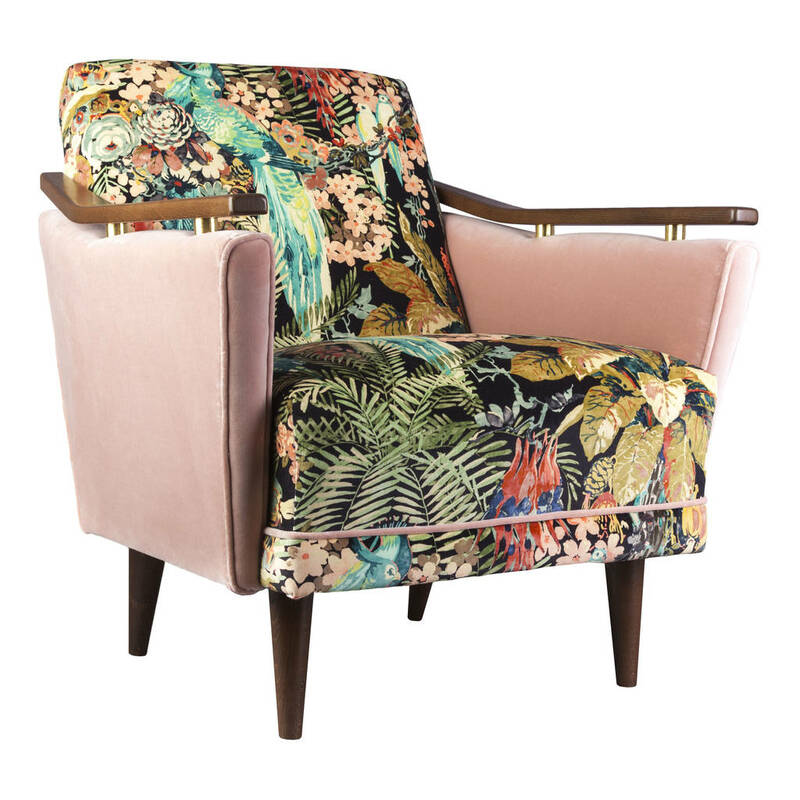 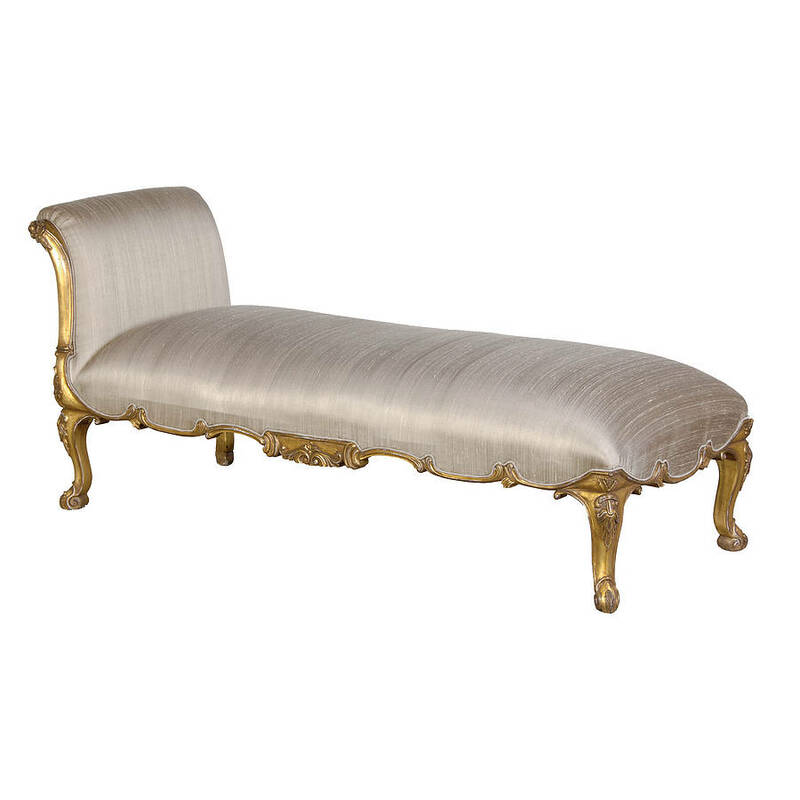 The Bouji collection is made up of feminine boudoir style pieces that include left and right hand facing chaises, accent chairs without arms, loveseats and ottomans with button detailing, scrolled back hand placed brass studs and curved legs for a vintage touch. 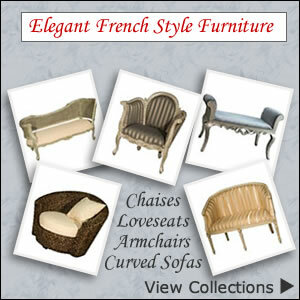 Available in brown, natural, grey, red, turquoise and blue. 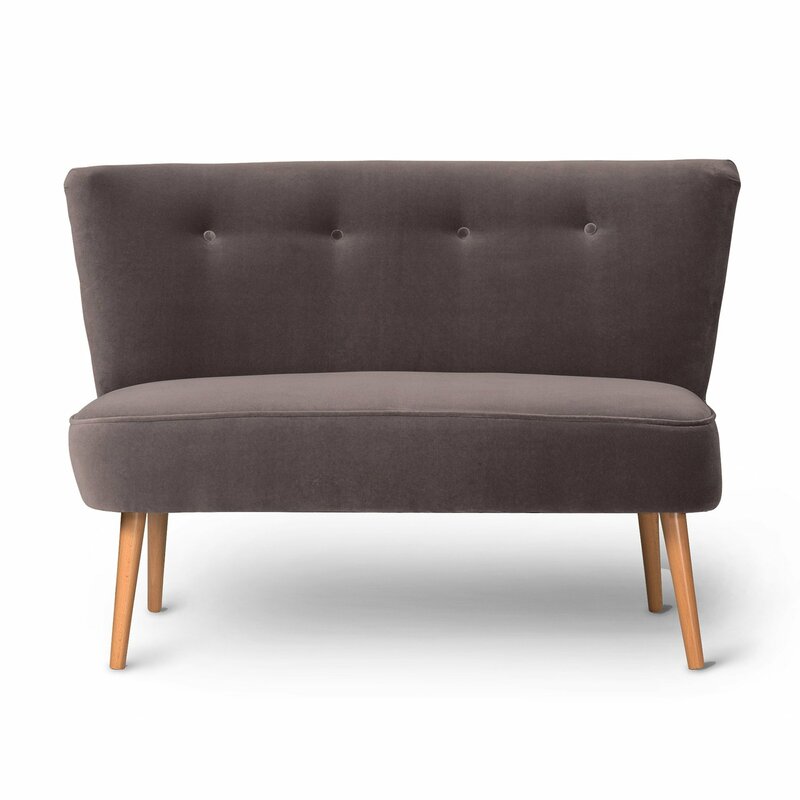 Designed by Allegra Hicks the Lulu 2 Seater sofa is full of charm with clean lines and a cocoon effect design to wrap you in comfort. 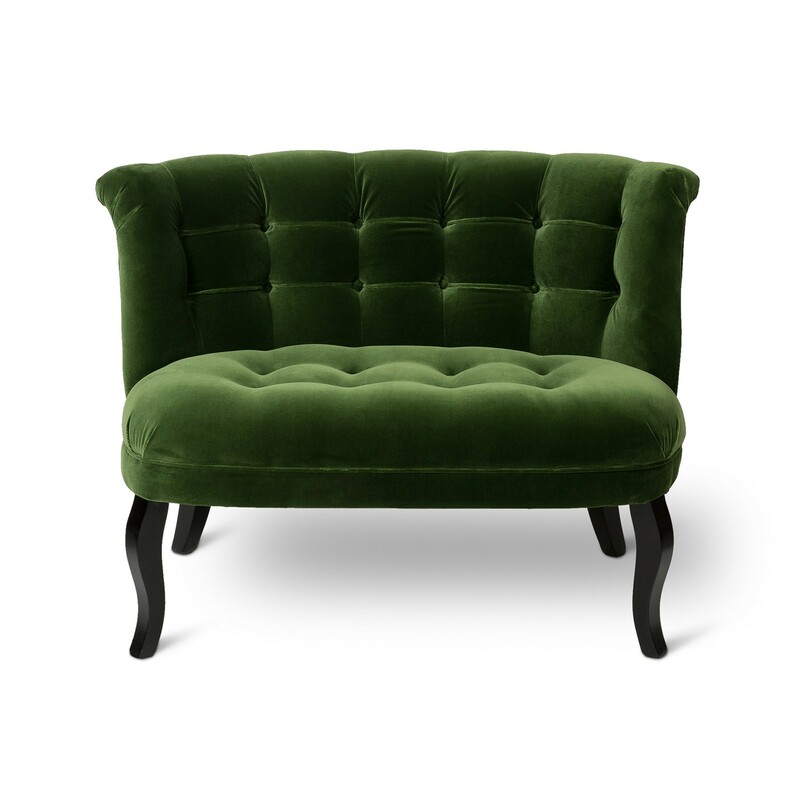 An effortless elegant piece finished in textured velvet rich materiel for a soft lush feel also in custom made honeycomb weave and cotton linen mix. 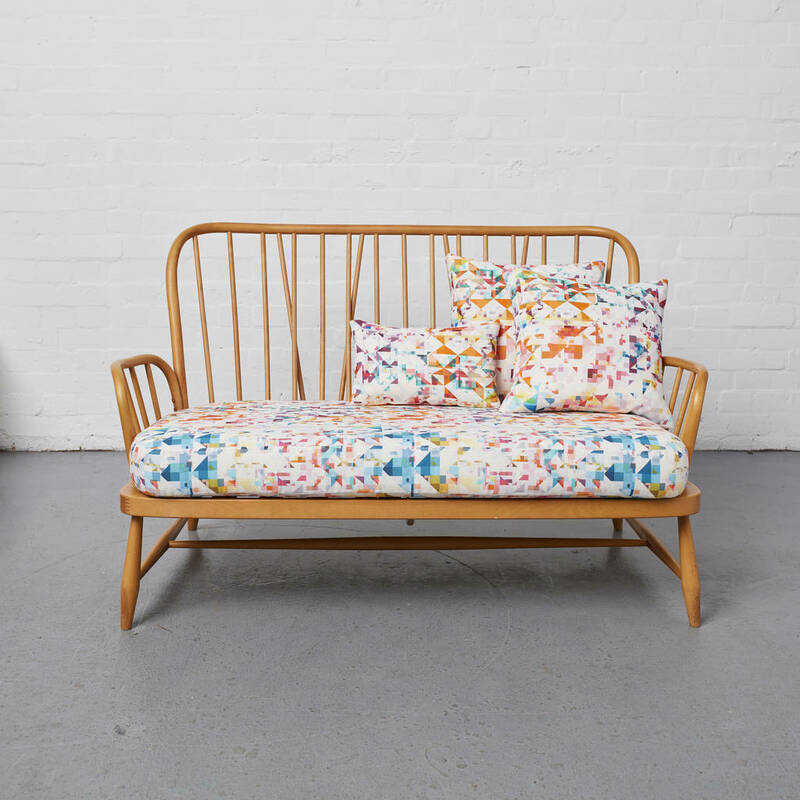 The Lulu collection is specially designed to make the most of small spaces and includes small scoop occasional chairs, coordinating cushions, pouffes and matching footstools along with petite sofas. 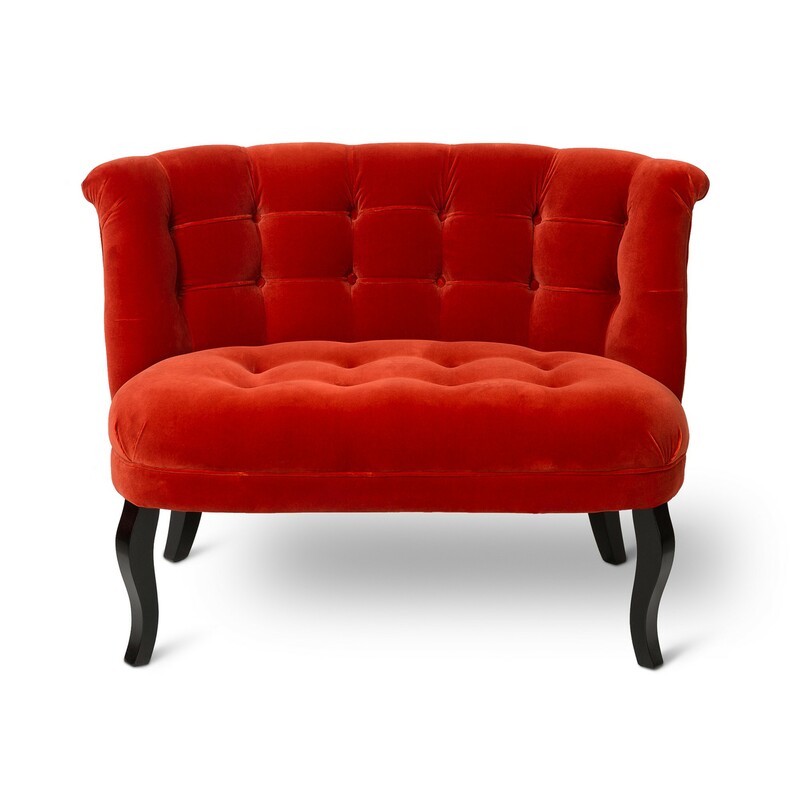 The pretty accent colours of lime green, orange, raspberry and coral can be mixed up to form a colourful feature to enliven any room.